It's so cute - I had to share with you!! I am in love with this find! I can see many opportunities to don this baby. Yes, many are donut spree related! This is an affiliate link which means if you purchase something, I’ll receive a tiny commission at no cost to you. If you’ve known me IRL at some point, you may have noticed this about me…. What is available can be pricey! This post contains affiliate links, which means if you purchase something I’ll receive a tiny commission at no cost to you. Thank you for your support! I, myself, have gaped wide eyed at many a price tag… and usually given in because you truly can’t put a price on the support and comfort (not to mention the improved silhouette!) of an undergarment that actually fits. I’ve had quite a bit of success over the years with Figleaves, doing exactly this! Especially with bras and swimwear! I love the diverse high quality brands they offer in my dimensions - Panache, Freya, Fantasie and more. Here’s my starter list of items! I gathered a few Figleaves clearance items (in current my size) to demo! Next, I'd scrutinise each one for details (How many clasps in back? I want three...these babies are heavy!) to whittle the list down into budget range. I hope this strategy saves you money and you find just what you need! Please tell me your secret ways to save and favorite brands for bras in cups DD+ - K in the comments! Mascara is one of my obsessions! New incredible (looking) formulas excite me! It could be that's because without it my lashes are blonde, aka almost invisible... Perhaps. Up to this point in my life, I am not in the kind of financial position that allows me to spend more than $10 per tube of mascara. Did I mention I use it...A LOT?! So I generally don't have a ton of experience with pricier offerings, outside of samples (which I freaking love BTW). My eyes water like CRAZY. Years ago I switched to waterproof mascara. Alas, this was not a solution. At the time, I had been using different types from a particular make up line (not L'Oreal) and when I finally made the leap from that brand it helped my waterworks situation to a huge degree! However, my eyes are still leak prone, so I stick with waterproof mascara anyway. I have a winner take all ranking system. My method is EASY... I keep trying new mascaras, if one actually performs better than the current champion then I bring that new one up to the big leagues and put the last one on the bench. This has been working over the years, more or less. 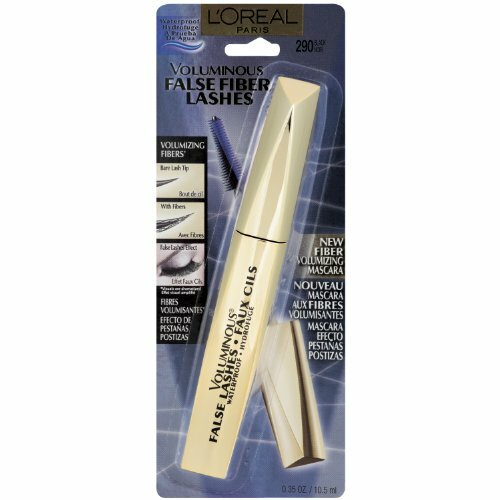 I LOVE L'Oreal Paris Voluminous False Fiber Lashes Waterproof mascara! I have been using this mascara faithfully for at least 6 years! Many mascaras have tried to unseat you and have failed...Contenders beware, it's a high bar to clear! I get thick, long, lush lashes with good application control from the brush and minimal clumpy-ness. Please note the associated affiliate link - if you make a purchase using this link, I may receive a commission. (Someday...I can dream!) Thank you for your support! Have you been looking for effortlessly flushed cheeks in a sweet rosy pink? Me too! Well I'm done looking and so are you! 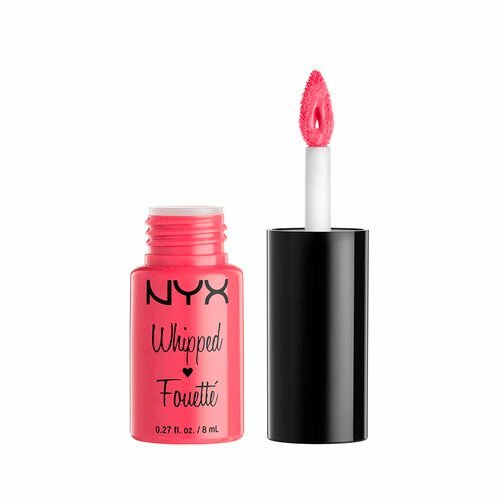 I tried out NYX Whipped Lip & Cheek Souffle in Pink Cloud and loved the results! I am a person with fairly pale skin and the light, sheer pink (almost a baby barbie pink) wears well on me. YES! This formula is packed with color, so it only takes the tiniest dot to get the beautiful rosy glow you're after. I especially like how a little goes a long way, since it will LAST. PLUS, it works double time as an equally gorgeous lip color! Check out this make up test session! Thank you IPSY for the wonderful products you put in the amazing Glam Bag! I received this wonderful product in the June 2017 IPSY Glam Bag. I gotta call out the unbelievable deal... This ONE product (A full size to boot!) turns out to be worth almost the entire $10 monthly cost of the bag... and I got 4 other awesome things too! If you're interested in checking IPSY out, please use my referral link below to help me earn IPSY points and (again, someday) free Glam Bags! I'm finally with it, friends! My Volupties JULY 2017 delivery brought my panti-verse into sync. My booty size and my Volupties size are now ONE. · The pattern and color of the material is beautiful. The lace is soft with a bit of give. This pair fit nicely! · I liked the look of the delicate lace inset over the hip bone area. The remaining material is a semi-silky feeling black knit with a fair amount of stretch. This pair is also a fit. · Fabric feels silky, in a print mixing faded grey and pale aquamarine in an antique wallpaper/textile design. These are my favorite of the 3, as the fit was the best and the details are lovely! JULY 2017 - FWF Fit Rating is 100% - 3 of 3 fit! 3 of 3 pairs knickers received with this Volupties delivery fit nicely, for a FWF Fit Rating of 100%. After a few off months (in terms of fit only) I found I had the wrong size chosen in my Volupties profile...so no wonder, right? No matter! Volupties made it quick and easy to update the size option and before I knew it, BAM! It's next month and I am once again delighted by this awesome service! Still one of my favs! Photography below provided by FlirtwithFlavor.com. Splendies / Volupties is a subscription & gift service that sends 3 pairs of undies to recipients monthly. You can select an open ended monthly subscription, or opt for a 3, 6, or 12 Month package. You also choose your preferred styles - no thongs, all thongs or surprise (mix of styles) options. Pricing ranges from $13.99 for the Monthly Subscription to as little as $13 a month for the 12 Months option. Pricing ranges from $16.99 Monthly Subscription to as little as $16 a month for the 12 months option. Reminder - I have curly hair! As my Curly Hair Origins tells (in painful, Middle School detail) I wasn’t born with curly hair! When things took a twist, I didn't have a CLUE how to style my curly locks. No crunchy curls here, touch ably soft! It has a clean, almost nothing scent. It’s the MAIN player in my Curly Wet Set routine, without a doubt! Details below! Please note the associated affiliate link - if you make a purchase using this link, I may receive a commission. Thank you for your support! I apply a dime sized dollop of Miss Jessie’s Jelly Soft Curls to the curls on the right side of my head and scrunch it through to lightly coat my wet curls, then repeat with curls on the left. Next, I insert clips at the crown for volume and proceed to dry via air, heat or a combo of the two until my curls are dry. When completely dry, I give it all a final, upside down head scrunch to fluff.